Hey uh, somebody was conspicuously absent during that whole Infinity War affair. Nah, not Hawkeye, nobody's thinking about that guy. Oh yeah. Ant-Man. Why wasn't he out there fighting Thanos and trying to save the universe from ultimate destruction? The answer to that question will (presumably) come in this summer's sequel, Ant-Man and the Wasp, but you can start to get some clues in the newly released trailer. Paul Rudd is back in the Ant-Man suit, joined by Evangeline Lilly as his partner the Wasp. The story picks up immediately after the events of Captain America: Civil War but appear to be pre-Infinity War, for obvious reasons to those who have seen it. Or maybe it's not? When does this movie actually take place?? That's one giant whopper of a question that's left hanging out there. 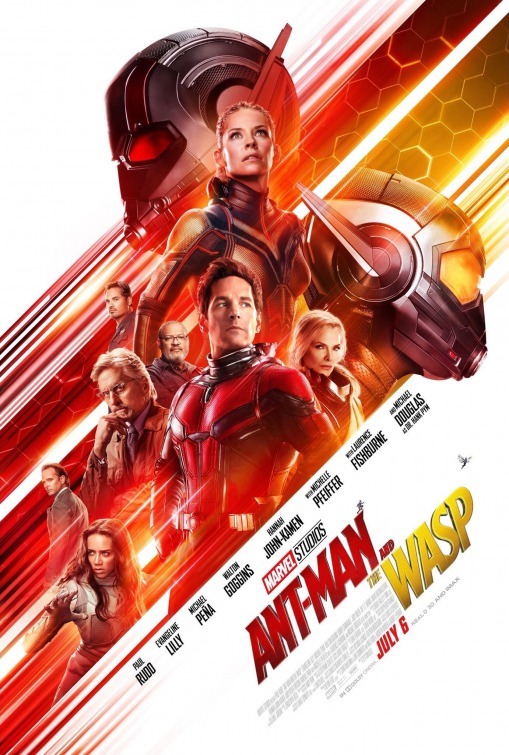 Michael Douglas returns as Hank Pym with Laurence Fishburne joining the cast as Bill "Black Goliath" Foster and Michelle Pfeiffer as ex-Wasp Janet van Dyne. I love the exchange between Rudd and Fishburne, it's not only funny and sophomoric (size jokes!!!) but it gives me hope Foster will be sticking around the MCU for a while. And of course it's good to see Michael Pena back as motor-mouthed Luis. Once again directed by Peyton Reed, Ant-Man and the Wasp opens July 6th.